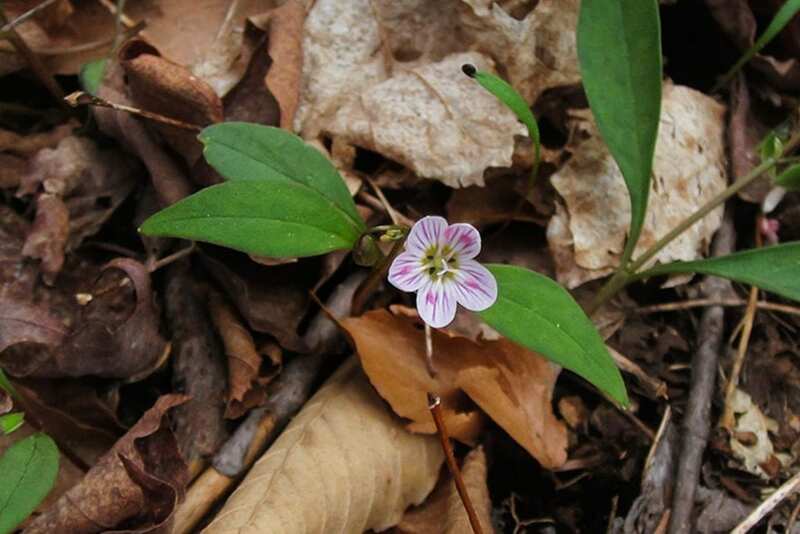 Carolina Springbeauty (Claytonia caroliniana) is a native wildflower that produces small pink flowers in early spring. It grows in forests and forest edges in deep rich mesic soils in the Adirondack Park in upstate New York. Carolina Springbeauty is a member of the Purslane (Portulacaceae) family. The plant’s scientific name is a reference to John Clayton, an 18th century botanist and one of the earliest collectors of plant specimens in the state of Virginia. 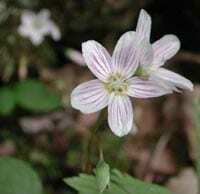 Carolina Springbeauty is also known as Wide-leaved Spring Beauty, Carolina Spring Beauty, and Virginia Spring Beauty.